In today’s times, the image conscious population is on the rise. A larger number of individuals are in search of treatment procedures to minimize or eradicate photo damaged skin as well as the negative effects caused due to pollution and present day lifestyles. These factors cause the skin to look older and unattractive, which in turn causes people to feel unhappy about their looks and even embarrassed at times. Ageing is a normal process and there is not much anyone can do about it. However, apart from letting yourself age gracefully, you can opt for procedures that can help you to continue to look younger for a longer period of time. With ageing, exposure to sun, lifestyle aspects like unhealthy eating habits, smoking, alcohol consumption and heredity might also play important roles in causing facial wrinkling. Fortunately, there are quite a few treatment procedures available to meet the aesthetic needs of patients. Now we have the Gold Standard of laser resurfacing and its broadened utility to the new age non-ablative skin treatments using the intense pulsed light and the complementary finishing achieved with the Microdermabrasion techniques. One such treatment procedure gaining popularity in recent times is the Active FX laser treatment for fine lines, wrinkles and scars. The best feature of using the Active FX laser treatment is that, there is no need to spend on any topical lotions and creams or any over the counter medications promising miraculous results within days or weeks. The Active FX treatment is quick, reliable and offers visible results that are long lasting. Active FX is a fractional laser resurfacing procedure which is performed in a single treatment with minimum patient downtime. The procedure involves a high energy beam of laser light which is used to even out wrinkles, fines lines and scars, eliminate brown spots and other skin irregularities. It furthermore stimulates the formation of new underlying collagen in order to continue improvement over time. Using the fractional laser treatment, only a portion of the skin’s surface is treated with the laser, leaving out small bridges of untreated skin. This procedure enables a quicker healing process and allows the patient to recover and get back to their normal routines. The Active FX laser treatment results are long term and with proper sun protection, can even last for several years. Most of the treatment effects become visible immediately, while other effects like new collagen formation builds up gradually and becomes more evident over a period of time. Consequently, most individuals look even better following 3 to 6 months of the procedure. 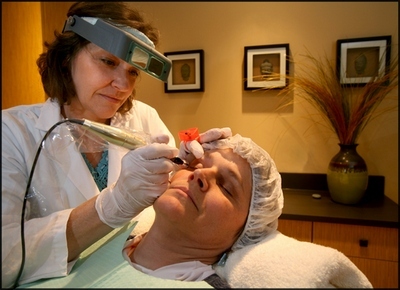 How the Active FX Laser Resurfacing Treatment Works? The UltraPulse fractional laser, which is the gold standard of laser resurfacing systems, delivers thousands of minute laser pulses in a pattern over the skin. Each of these pulses heats a column of tissue while eliminating pigment discolorations on the surface of the skin and creating a zone of deep heating in the tissues. These zones of heating in turn shrink collagen instantly. The CO2 laser also allows heating deeper layers of skin tissue, in turn stimulating the collagen remodeling of the skin. 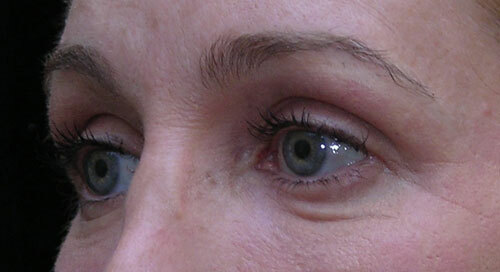 The Active FX treatment works wonders in smoothening out fine lines and wrinkles. Wondering if the Active FX treatment is Right for you? You live an extremely busy lifestyle and cannot afford to stay away from work for long durations. You want visible results with minimum downtime. You want to treat fine lines, wrinkles, dyschromia, and skin laxity as well as lessen the appearance of deep lines, scars, and folds. Active FX reduces fine lines and wrinkles as well as softens deep frown lines. Active FX treatment causes instant collagen contraction. Active FX improves the skin tone and texture. It restores a healthy and younger looking skin. Active FX stimulates the formation of new collagen and smoothens out the skin. Treatment is quick and offers minimal pain or side effects.